I love the sports theme not only because I do it myself, but also because I'm confident that's one of the most important parts of wellbeing for everyone. In this project I tried to reflect the state of consciousness of an athlete when you’re as much concentrated so you feel like a part of the sport you do, when its soul (or the totem) is materialize in you. So I tried to find an animal or a mascot with right character for each sport, which I'd like to show. I used stock photographies because it would be too expensive making so many professional sportive photos for a personal project. To emphasize mystic atmosphere I chose black background, sportive lighting on the athletes and added some fog in almost each illustration. Low poly style isn’t so trendy now but I love it especially when it’s hand-drawn or looking like a glass with nice reflexes. Hope you find my ideas and style creative enough :) Ballerina - I included the ballet dancer in the project the reason being I think Ballet is as a hard sport, which is extremely beautiful in the same time. Thus a swan was only possible bird for the dance. The most complex part of the animal was feathers of its wings. I wanted them looks geometric and flex simultaneously. 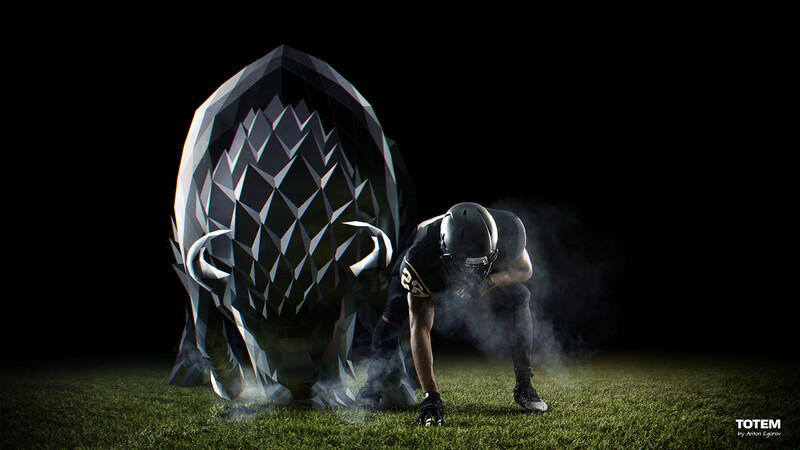 American Football - When I found this amazing photo of the football player I’ve immediately clearly seen a bison next to him. So I grabbed my pen and started sketching, trying to reach powerful pose. In the buffalo I like how the fur and the horns are looking. 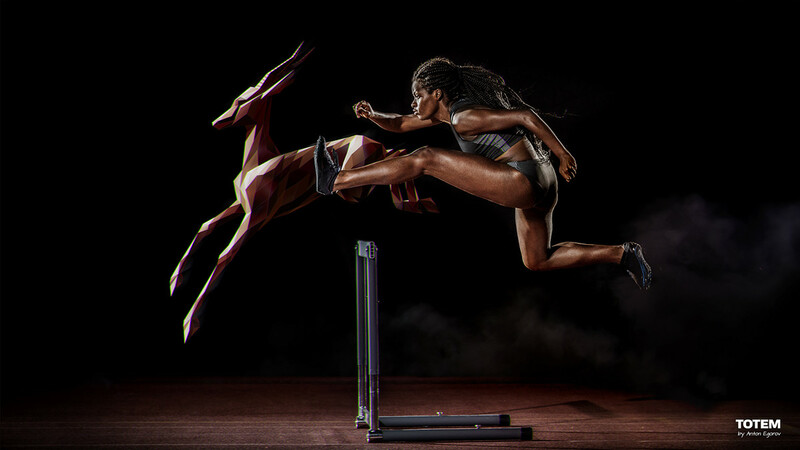 Running Hurdles - In this picture I extended the runner’s jump trajectory with the gazelle as a tireless symbol. 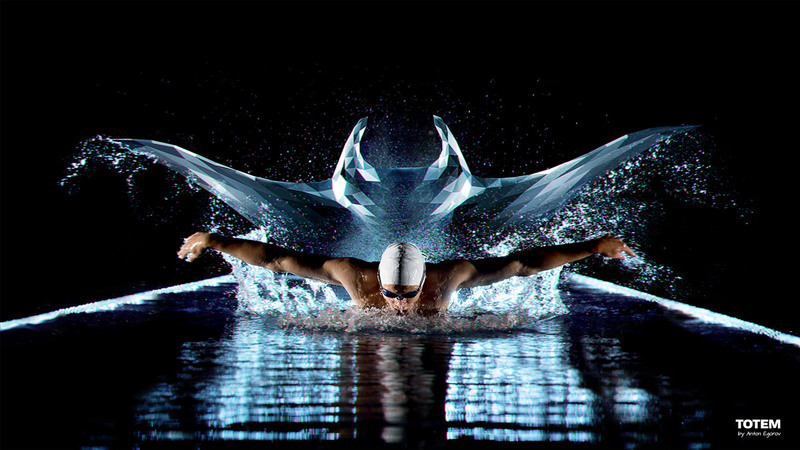 Swimming - Manta Ray was my first idea when I saw the swimmer in the night pool. I added some water splashes on it in Photoshop to support overall dynamics. 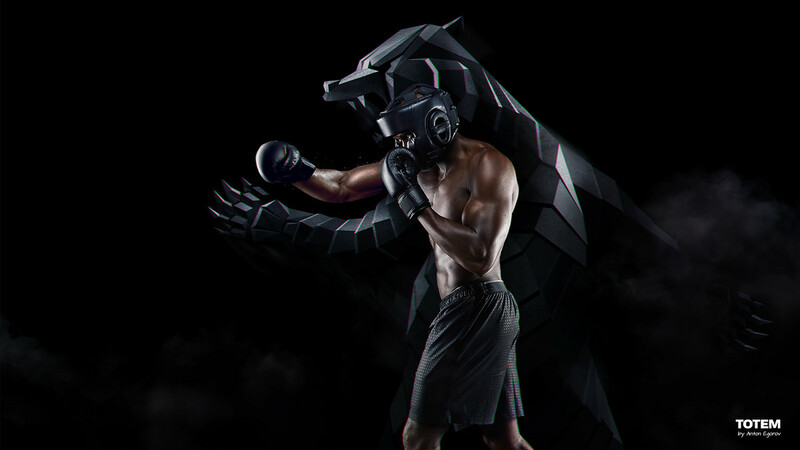 Box Fighter - It’s, perhaps, the most strangest pair of the project - Boxer and Angry Grizzly Bear, but I think it greatly convey the strength, which the boxer puts in his punch. 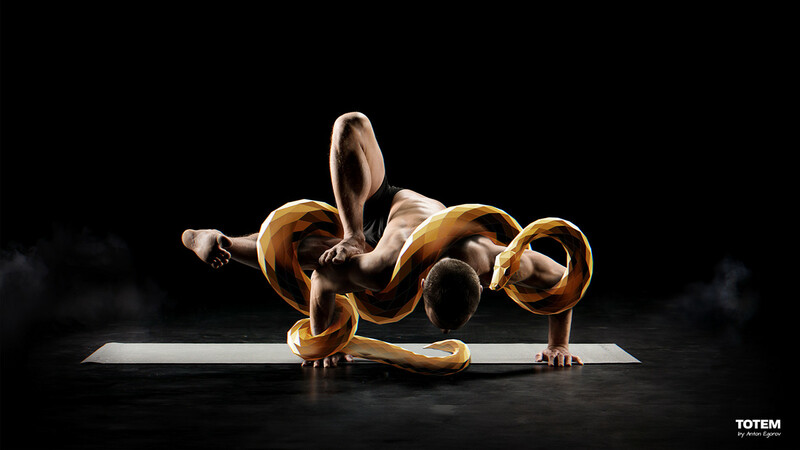 Yoga - With the Python I tried to showcase the flexibility of the sportsman. Hope it doesn’t looks like the glass snake is strangling him. © Anton Egorov. Any use or reproduction of the illustration is forbidden without prior written approval by Anton Egorov. All rights reserved.